It’s so desirable to go to the ski resort with the setting in of a snowy winter. But it may not be easy to say “Goodbye!” to everyone and rush to the mountains. Fortunately, there are lots of ski resorts in Kiev and its countryside. 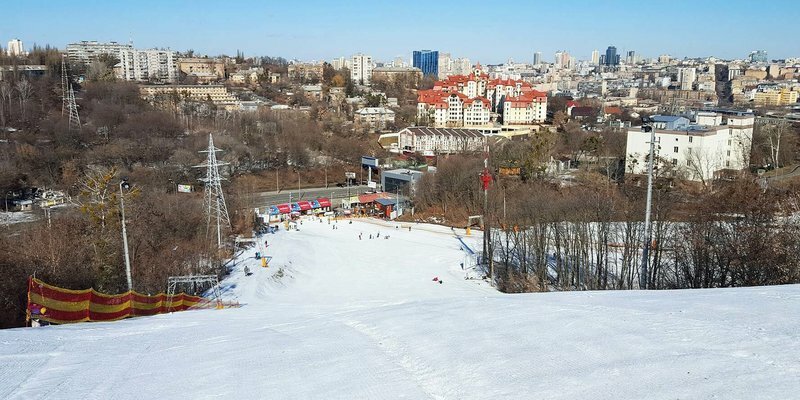 The editors of Mixsport visited many nearby complexes, where you can go skiing or snowboarding, and learnt especially for you about all available activities. We will tell you about 6 the best locations for skiing. 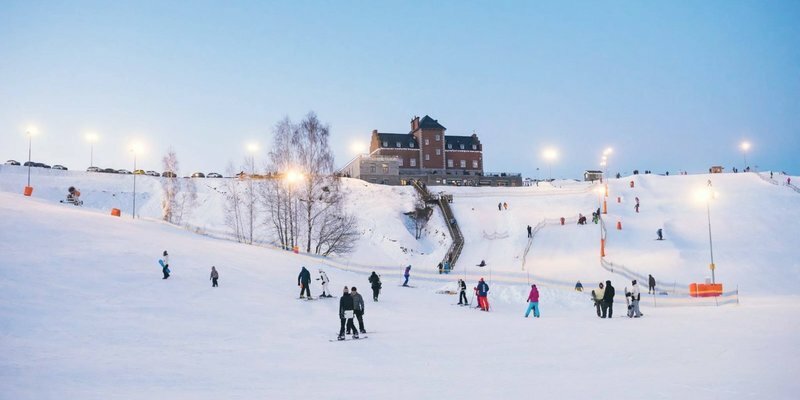 This ski resort is located in Kiev Goloseevky park, so getting there it is not a problem. The complex has a ski slope 500 meters long. All the necessary equipment could be rented on the spot, what is very convenient. 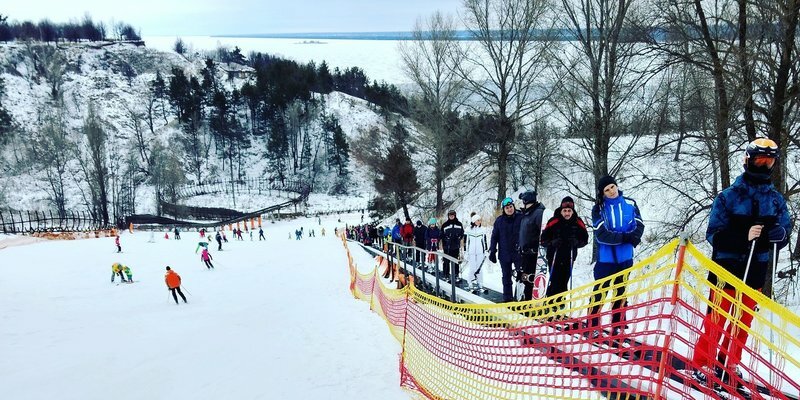 For those who have never practiced skiing or snowboarding, but really wants, there is a school where instructors will teach them useful skills. School enrollment is available to both adults and children. Also there is a chill-out zone and a food court in this area, where you can enjoy your time after skiing. The resort is 15 minutes away from the capital, in Vyshgorod city. There is a ski slope 200 meters long and a belt lift within the compound. All necessary equipment for skiing you can get on site. There is also a school where attentive instructors will teach skiing or snowboarding. The complex has a restaurant serving European cuisine. More information about the complex can be found on the website: vishgora.ua. Its location is 32 km from Kiev, in the village Gvozdov. The complex includes three tracks: one for children and beginners, two for experienced skiers and professionals. In addition, there is a zone for snowboarders, a separate area for sledding, a children's slide, a skating rink and a springboard for tricks. "Gvozdov" has two drag lifts and a multi-lift. If after active skiing you don’t want to go back, you can rent an apartment and have a tasty meal in a restaurant. More details on the website: gvozdiv.com. Ski sports complex "Protasov Yar"
One of the most conveniently located complexes, because it is in the center of Kiev. "Protasov Yar" has three tracks of varying complexity: first is child one, the second is for beginners and the third track is for experienced skiers and snowboarders. On the territory of the complex there are two drag lifts - single is on a short route and double is on a long one. There is also a school for those who want to learn snowboarding or skiing. To satisfy your hunger after an active holiday, go to a restaurant or food courts, which are located within the complex. You can go snowboarding and skiing behind the cable-towing road in "X-Park". The cableway is a cable stretched on four pillars, which moves at a speed of 30 km / h. To ride with a breeze, you just have to get on a snowboard, ski or an airbag (tubing) and go. This sport is called a Snow Cable. Also in the park you will find many different springboards. Lebedevka is the village, which is located 18 kilometers away from Vyshgorod. 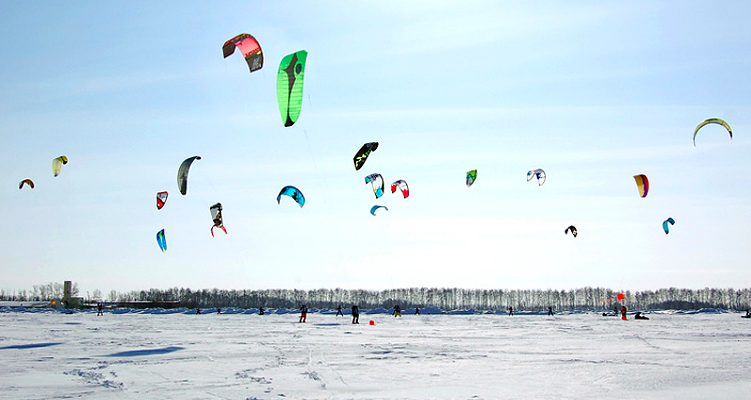 Here you can experience such an exciting sport as snowkiting. Skating is on the beach area along the coast. How to get there: Kiev-Vyshgorod, cross the dam and go along the embankment, from Lebedevka 3-4 km more to the beach area on the right side.